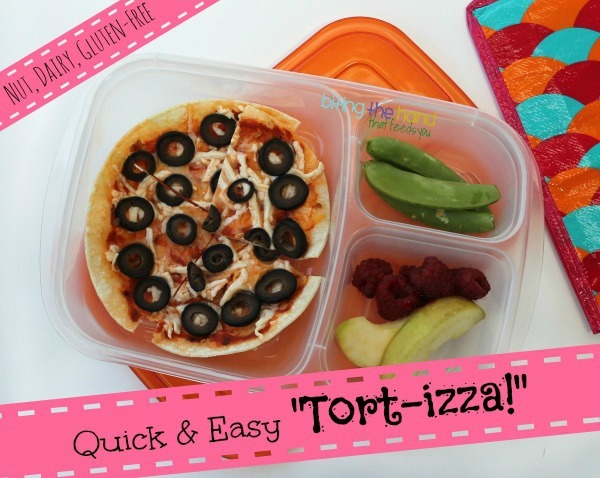 Biting The Hand That Feeds You: Quick and Easy "Tort-izzas!" 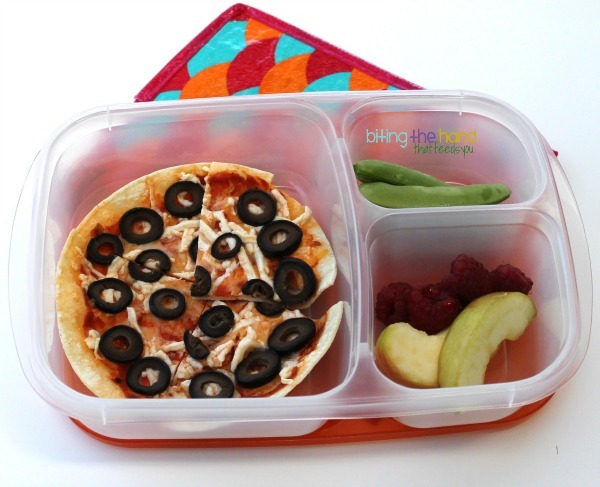 Saturday, 7/27/13 - We must have been heading up to Nana's, since normally I don't need to pack lunches on the weekends. Both girls got leftovers, but E's was way more interesting - a mini tortilla pizza! In an effort to use up some mini corn tortillas I'd gotten for a MOMables post I was writing (they came in packages of, like, 500!) and tired of making quesadillas, I hit upon trying pizza quesadillas. Open-face. They were a hit! I had made two for each girl one day for lunch, but E only ate one. So I saved her other one for another time. Remove tortillas from oven, flip over, then add sauce, cheese, and toppings. Put back into oven (middle rack) for 3-5 minutes.